What motivated you to join the Registry? It was just before my 40th birthday and I was reading a magazine article about a child that needed a bone marrow transplant and that there was a plea to recruit more volunteer donors. 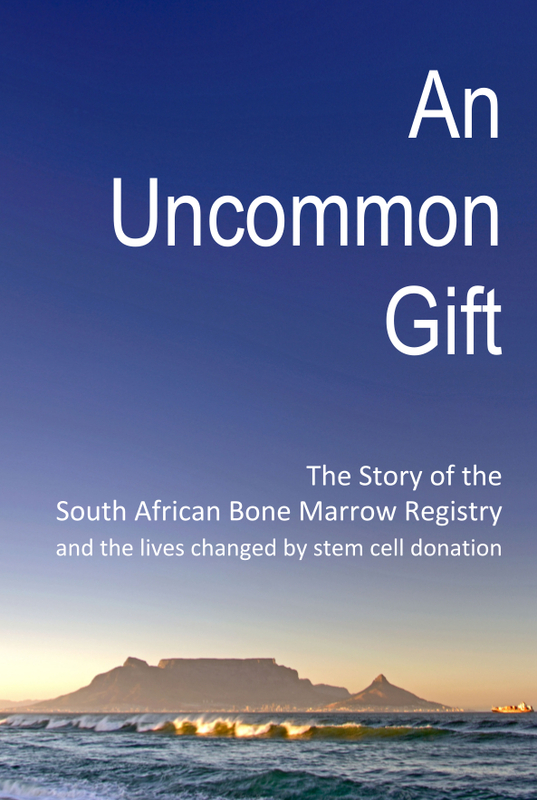 It was then that I decided that the best gift I could get for my 40th birthday was to give a gift of hope by having my stem cells tested and joining the South African Bone Marrow Registry (SABMR). How did you feel when you were contacted by the SABMR as a potential donor for a patient? Although I knew there was only a slim chance that I would be a match for a patient (1 in 100,000), I just always had a feeling that one day I would receive the call…. Two years later, I was at the office I received a call from the SABMR – I had been identified as a possible match for a patient. I cannot explain what went through my mind. As an Attorney, I am trained to maintain my composure at all times but this was an exception! I cried from excitement, then I jumped up and down, causing quite a commotion in the office! I was told by the SABMR that I would need further testing of my stem cells to ascertain the extent to which I was a match with the patient. Time was of the essence and so I went immediately to St. Augustine Hospital to have my blood drawn. Soon after I was told that I was a 10/10 match. What was your experience like having your stem cells harvested? For a whole week, I needed to have Neupogen® injections to stimulate my bone marrow to produce more stem cells in preparation for the harvest. 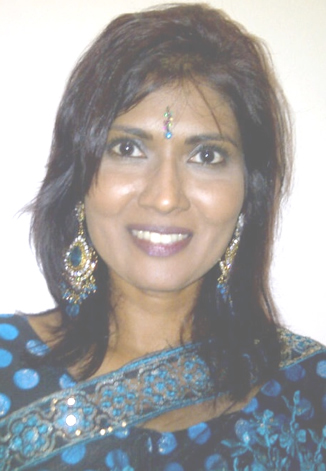 Since I live in Durban and since one cannot travel once the injections begin, I flew to Cape Town. I was so happy to have my husband and my two sons by my side. Finally the day came to have my stem cells harvested. I spent that day in the hospital, it took about 11 hours. Throughout that time, a staff member from the SABMR stayed with me. The hospital staff was also amazing. Once the harvest was complete, I felt absolutely fine and was discharged. 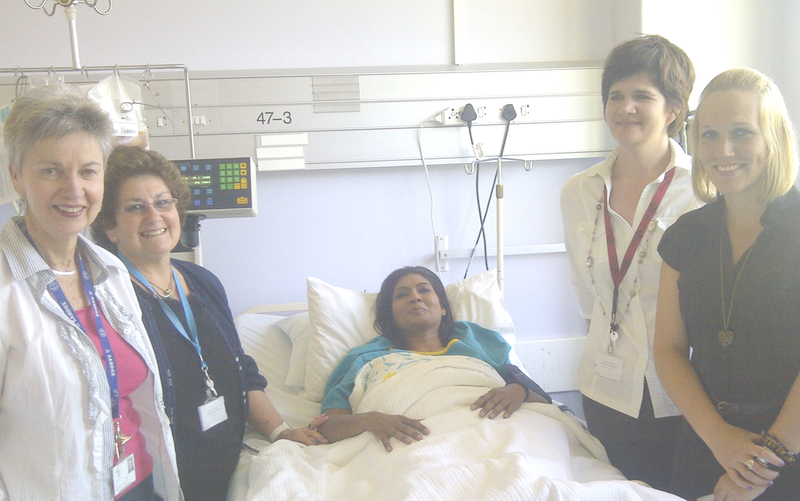 Juthika donating stem cells, with the SABMR team at her side. How has the experience impacted your life? Where do I begin….? The whole experience has brought me the most amazing sense of fulfilment and meaning – to give the gift of life. And the effect on my family and community has been amazing. My two sons (aged 10 and 8 years) have both said that they want to become donors when they are older! All I knew about my recipient is that he was an adult male. Throughout the process, I kept on thinking that this might have been someone’s husband, son, father or brother. Would you recommend that other people join the Registry? Without any hesitation at all, I would strongly encourage people to join the Registry. The work that the SABMR does is incredible. The fact that I was a perfect match for a complete stranger is just amazing. The more people that join the Registry, the more lives can be saved!